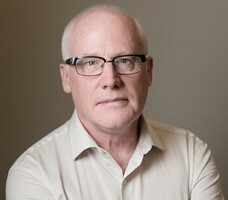 Alex Neve has been the Secretary General at Amnesty International Canada since January 2000. He has participated in many Amnesty International missions, and has represented Amnesty International at international meetings such as the Summit of the Americas and the G8 Summit. Alex holds a Bachelor Laws from Dalhousie and an LL.M In International Human Rights Law from the University of Essex. In 2009 he was awarded an honorary Doctorate of Laws degree from the University of New Brunswick. He was named an Officer of the Order of Canada in 2007. Bibi Ayesha is a 15 year old Rohingya girl who was born in Bangladesh. Her family fled Myanmar during a wave of human rights violations against the Rohingya community in 1992. They have never been given official refugee status in Bangladesh. Her father, determined to ensure that education was accessible for his daughter, managed to enroll her in a local school near the Nayapara Refugee Camp where they live. Earlier this year in January, however, the Bangladeshi government began strictly enforcing a long-standing policy that no Rohingya students would be allowed in local schools on the grounds that they are refugees and must go to schools in the camps. However, the government does not allow formal schools in the camps, because they believe that will encourage refugees to remain in Bangladesh. The only options are the very basic Child Friendly Spaces (CFS) and Learning Centres, which mainly offer a place to play and some very rudimentary lessons. Mohammed Ali, a 65-year-old farmer, was returning from his fields to his home in the village of Kyein Chaung, in the Township of Maungdaw, in Myanmar’s Rakhine State in early September, 2017. And the attack began. The village was surrounded by government soldiers who began shooting at villagers and setting fire to houses as they advanced. The people of Kyein Chaung knew what was coming as they had already seen dead bodies floating down the stream from other neighbouring villages. As I arrive in Bangladesh, joining an Amnesty International delegation that is here for two weeks to meet with and hear from Rohingya refugees in the country, a specific question comes to mind. In this world of ours – a world marked of late by far too much conflict, hate and division – when and why is a crisis no longer seen to be a crisis? In a world which feels to have an ever-shortening attention span and seems only able to give real attention to two or three emergencies at once, we forget and move on from today’s or this week’s crisis more quickly than ever. Meanwhile, politicians regularly bandy the word crisis about to inflame tensions and score political points when it isn’t a crisis by any measure; be it Donald Trump’s manufactured border wall crisis or the overblown rhetoric around a supposed-influx of refugees crossing the Canada/US border. We see quick resort to the word crisis in those situations, largely to undermine support for refugee protection. So many times over the past two years, since Donald Trump’s presidency and assault on the rights of refugees and migrants began, I have asked myself: what more will it take for the Canadian government to agree that the United States is not “safe” when it comes to refugee protection? And while I do not have the answer yet, as the accounts of utter contempt for international obligations and the lack of even a minimal sense of compassion mounted during our visit to Tijuana, El Paso and Ciudad Juárez this week, as a Canadian I felt a deepening sense of shame that this remains an open question. Amnesty International Canada Secretary General Alex Neve is currently part of a delegation of senior Amnesty leadership who are visiting the Mexico/USA border to witness the impacts of US policy on migrants and asylum seekers. We began the day walking across the border between the United States and Mexico, separating San Ysidro, California and Tijuana. We ended the day back at that exact same border post, accompanying three courageous LGBTQ teens from Honduras as they sought, against considerable odds, to lodge their asylum claims with US officials. In between we had ample occasion to see and hear firsthand that despite Donald Trump’s toxic rhetoric, the only crisis that is playing out along this frontier is a politically-driven one that spreads distortions and fear on the backs of people – mainly, but not only, from Mexico and Central America – who are fleeing terrifying persecution, endemic violence and grinding poverty. It is a crisis of conscience, compassion and justice.